The traditional meal to eat in Slovakia on Christmas is a fried fish with a potato salad. This dish typically follows a serving of the sauerkraut soup, kapustnica. I showed you how to make Slovak potato salad in the previous post. Here I show you how to fry the fish. It’s quick and easy! 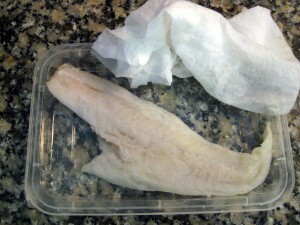 Take a fully defrosted fish fillet, rinse it under running water, and pat dry with a paper towel. … and bread crumbs. Fry in salted oil for few minutes on each side. Serve with potato salad and veggies. Delicious! This is a great recipe. I just trued it and really liked the potato salad. The fried fish is delicious! what kind of fish is traditional? So far best fish for me is Cod fish. 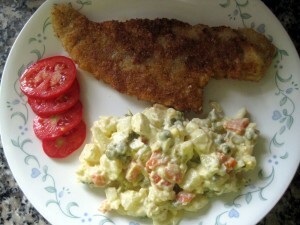 I tried this, too, and the potato salad came out great. 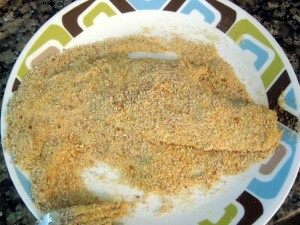 The fried fish did not come out as nicely as the ones in the picture–kind of black instead of golden brown. I used vegetable oil with a little salt. Was the oil too hot or did I use too much. I used catfish filets. Hi George and sorry to hear that! You probably just fried it tad too long. 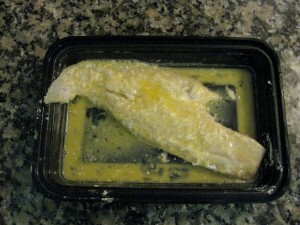 It’s best to keep the oil on “medium” so the fish cooks through before the outside scorches. Flip it over as soon as it starts looking brown and then take out when done on both sides. How optional is letting the carp swim in the bathtub? In my city, Boston, there are Chinese supermarkets that have live carp in tanks that you can buy and they will cut up for you. Are these cleaned out enough from their tanks or is the bathtub thing necessary? If it is necessary, for how long do you keep it in the bathtub? And do you feed it all, or keep it without food to clean it out? Mark, “bathtub” thing is not necessary. It was done as a tradition, children having a “pet” for a few days, and mostly for a freshness, as if you bought a carp cut and cleaned at the fish market some three – four days ahead, you keep it in a refrigerator for a few days and then it’s not so fresh anymore. Folks at fish market will probably do a better job than you at home at cleaning the fish. No buts about it to “knock the fish out”, taking it from a bathtub, cleaning it at home is a messy operation, scales, blood (including yours) everywhere. If you do it at home, nope, don’t have to feed it, fish will do just fine for a few days without food. BTW, this bathtub thing sometimes may not work. You bring the fish home, it’s already stressed from being in a barrel for a few days, in and out of the water, you put it into tub and it goes “belly up” and you better kill and gut it right away. There goes freshness. If you can get a carp a day before Christmas, I would get it cleaned, gutted, and cut at the fish market. I was going to buy a live carp and keep it in my bathtub this year, but when I went to buy the carp in Chinatown there were none there! I know I’d seen them in tanks in Chinatown but I went to all the markets and even called some in the suburbs. Nobody had live carp. And then I found out why: in January 2010 the U.S. Fish and Wildlife Service raided the Asian markets here in Boston and confiscated over 1000 live carp, because they were not common carp, the kind usually found in Europe and American, but Asian carp, which are considered an invasive species (because they are taking over the Mississippi River and crowding out native species.) So I guess after that all the Asian grocers got scared and don’t carry carp anymore here in Boston. I just found your website the other day. I’m interested in trying some of these recipes. 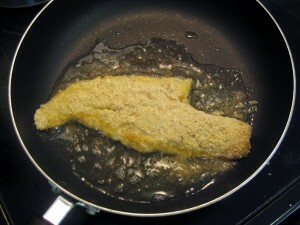 My dad was Italian and my mom was Bohemian; we often had fried fish for Christmas Eve dinner, but I always thought it was an Italian tradition, as we had it with strangalopreta (SP? ), green dumplings from northern Italy. I must disagree with your comment about the “best ways to remove an invasive species is to turn it into a food item. So I think the right course of action is to introduce the Christmas carp to the Mississippi Rive basin…” Turning any species into a food item is a sure way to ensure its propagation, as people will want to make money from breeding it and thus will continue to increase its population. Also, I live int he Mississippi River basin and those Asian carp are killing of native species. They are dangerous to people, too. They grow very large and jump out of the water and into boats, knocking people over and even out of the boats! Thanks Chris for an interesting comment. What kind of fish you used in your recipe or what fish Is the best to replace carp since I can not find any here in Colorado. 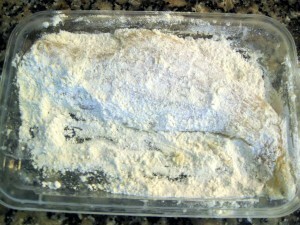 Katka, any kind of white fish will do; flounder cod haddock scrod tilapia… Or even catfish, which some consider low quality bottom feeder but if fried, equally tasty. Hi Lubos! Nice to see everyone still following this blog! For us, we always had Fried Fish, mashed potatoes and green peas for Christmas Eve. I was told because it was Catholic tradition to abstain from meat on Christmas Eve, and eat something simple, ergo the mashed potatoes; less extravagant than potato salad. But seeing the fried fish tradition made me smile; every year this tradition brings me back home, if only in my memories, to the table with my family. Thank you for this site!! Happy New Year!